Originally published in 1984, Akira Volume 1 is the first collected-issues of AKIRA manga series. The amazing and thrilling series is written and illustrated by Katsuhiro Otomo, one of Japan’s best mangaka (manga writers and artists). The English version of the graphic novel was first released by Epic Comics and then later by Dark Horse Comics. Akira Volume 1, subtitled Tetsuo, introduces post-apocalypse Neo-Tokyo post the mysterious catastrophic explosion that has triggered World War III. The year is 2019. 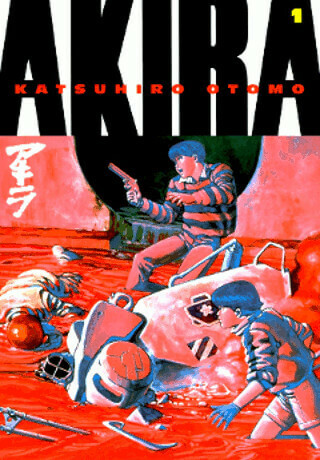 Kaneda and Tetsuo are two adventurous teenagers who spend most of their time exploring the city streets on their motorcycles along with their gang. However, during one of their wild rides, they come across a mysterious man with mysterious ability. It leads Kaneda and Tetsuo into something much bigger and important than they could’ve ever imagined. Welcome to Neo-Tokyo, built on the ashes a Tokyo annihilated by a blast of unknown origin that triggered World War III. The lives of two streetwise teenage friends, Tetsuo and Kaneda, change forever when paranormal abilities begin to waken in Tetsuo, making him a target of shadowy agency who will stop at nothing to prevent another catastrophe like that which leveled Tokyo. At the core of their motivation is a raw, all-consuming fear of an unthinkable, monstrous power known only as…Akira. Katsuhiro Otomo’s stunning science-fiction masterpiece is considered by many to be the finest work of graphic fiction ever produced, inspiring Otomo’s brilliant Akira animated film, regarded worldwide as a timeless classic.